Every Masternode operator establishes a bond of trust and a social contract with the network in which he is bound to contribute to the development and maintenance of the ecosystem he benefits from. Under this model, 10% of the network coin generation is deferred, pending approval, for funding projects selected by the masternode operators that will further benefit the development of the network. Everyone contributes equally and proportionately to the benefits they are receiving and the risks they are taking, there are no privileges and no loop-holes. This is complemented by the full node voting mechanism that allows for a distributed group to vote on a continuous basis on practical matters without the need to forfeit their right to decide to others, every few years, like with traditional governments or cooperative corporations. We envision a future in which this model of transparent, unbreakable and verifiable contribution to the common good, in combination with continuous participation of the crowd through active voting, is utilized to manage organizations that are owned or ran jointly by its members, who share the benefits and responsibilities of those collectives, like governments, cooperative corporations, unions, DAOs, crypto-currencies, etc. To guarantee the long term sustainability of the Blockchain, the network starts to hold back 10% of the block reward. The Masternode operators would be tasked to act as stewards and invest this 10% in the maintenance and expansion of the network. This will result in faster development and promotion, creating a virtuous cycle that benefits all actors, including miners, Masternode operators, investors and users. More importantly, this gives the Blockchain itself a self-preservation mechanism that is beyond the control of any individual. We are calling this model, decentralized governance by Blockchain. 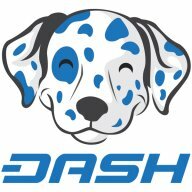 Yet another first brought to you by the DASH project. This one wouldn’t be possible without the Spork because you could never safely implement the changes over the network. It requires a hard fork and a few soft forks. Again we don’t mind cause we have the Spork to rely on. A hardfork will be done in conjunction with the release of the 0.12.x of the code. There will be a short update period where both versions of code 0.11.x and 0.12.x will be allowed to run on the network. Once sufficient numbers of masternodes have updated then a series of sporks will be activated to reduce the block reward by 10%. REDUCED BY 10% YOU SCREAM! SCAM! Let me finish. In order to catch up the emission rate of coin’s and also to creatively fund the project proposals each month will end with a Superblock. This superblock will contain more coins in coinbase then the regular blocks and it will essentially include the missing 10% that stopped being emitted after the spork and before the end of the first month. Ok so we have talked about how the budgeting is going to work but we should also talk about how much money we are talking about budgeting and using for highering block chain contractors (the winners of these proposals). The masternode network operators essentially become stewards of the funds and it’s quite a lot of money approximately $25,000USD per month. Voting on which proposals to implement and pay for. The basic breakdown for this is as follows: Block minimum is reduced to 90%. This is split, according to schedule, between the miner and the masternode. The 10% left behind will be paid to the Masternode network development budget proposals as voted by the masternodes and funded by the Superblock. So how do we calculate the amount of coins left behind by this 10% not being emitted during the month. I needed some help from Moocowmoo as usual on this one. min block reward * blocks per day * days * 10% = 8640 Dash per month. Remember how your parent’s always used to tell you to save at least 10% of what you made for a rainy day? So let’s recap every 16616 blocks a cycle occurs, each cycle may create up to 100 superblocks. Superblocks are paid out in order of vote count. So our minimums will drift from 2.089 minimum down to 1.88 brace yourself. Payouts are as good as they’re going to get. Should this be seen as a negative thing? Well that is for you to decide but then again since it was voted on by the members of the masternode class they have the right to decide for themselves and they did. They see this loss as an acceptable gain to allow for the long term goals to be realized. I think it’s a very noble move. Again a big shout out to Moocowmoo over at masternode.me for helping clarify the thoughts.